Located in the northwestern North Dakota, we raise functional, productive and profitable Red Angus genetics. Thank you for stopping by to visit. Hang your hat and stay awhile! Thank you to everyone who was part of making our 2019 Production Sale a success. We appreciate you! 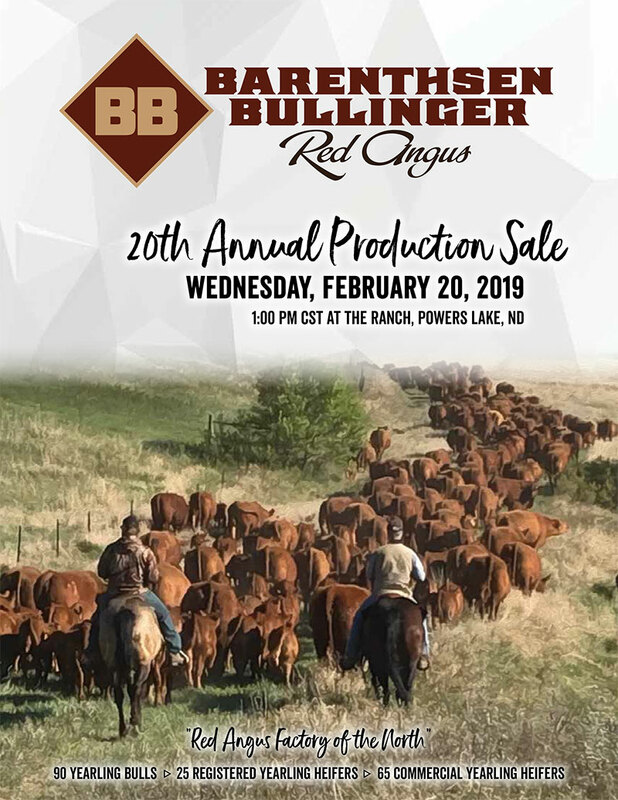 Bullinger Family Meats, operated by Jeremy and Jessica Bullinger, is committed to producing top quality, ranch raised, 100% All Natural Red Angus Beef. Our products range from steaks, roasts, and ground beef to specialty items such as all beef summer sausages, snack sticks and more! Call us at 701-339-7922 for more information, or stay up-to-date with current offers through our Bullinger Family Meats Facebook page. Barenthsen-Bullinger Red Angus is with James Nelson.